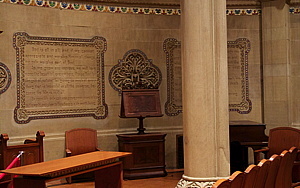 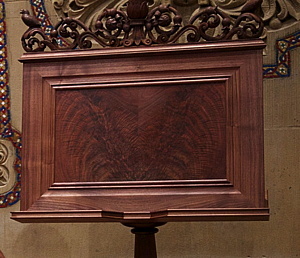 The photo of the Italian Lectern that was the starting point for the design was not detailed enough for me to read the carving clearly. 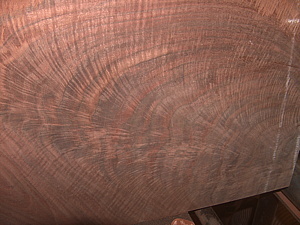 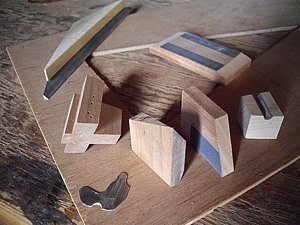 I was able to get a rough date range and research the appropriate styles of carving. 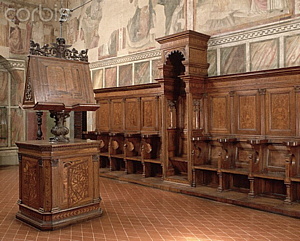 I spent time drawing copies of carvings I could locate of early renaissance church woodwork, especially the designs done by Michelangelo for the Biblioteca Laurenziana and carved by Battista del Cingue and Ciappino in 1534. 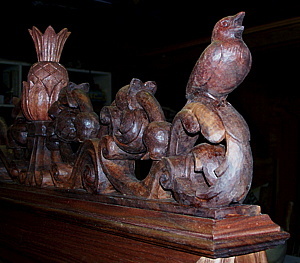 ....I wanted the visual content of the carving to include a musical reference and chose the two singing birds. 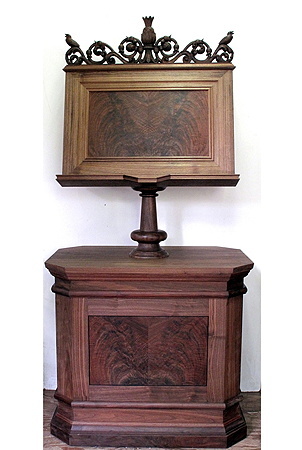 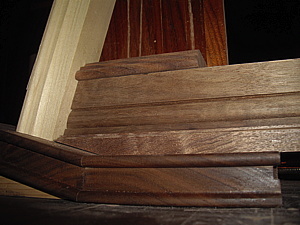 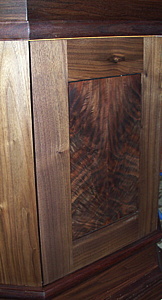 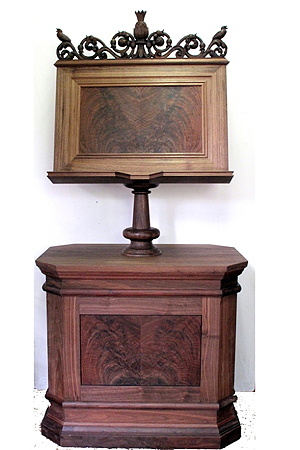 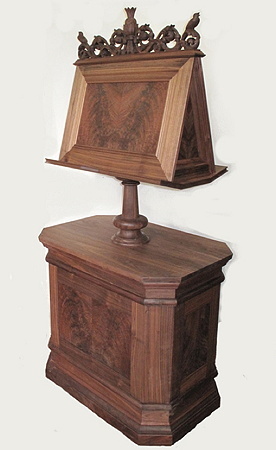 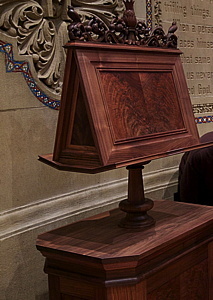 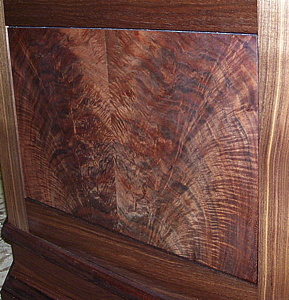 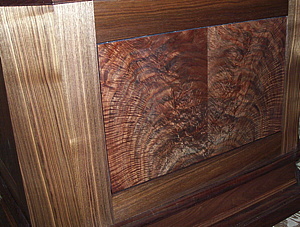 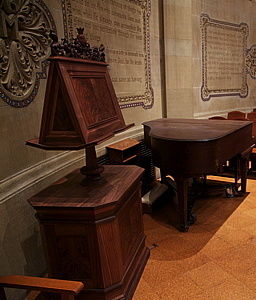 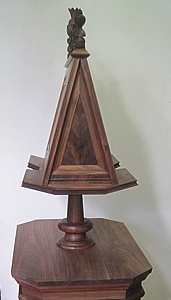 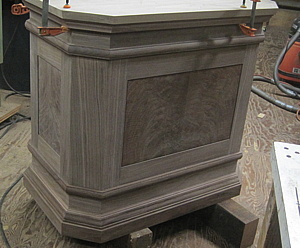 The walnut came from the collection of Richard Anderson and was chosen to work well with the colors of the other varieties of walnut used in the Cabinet and lectern. 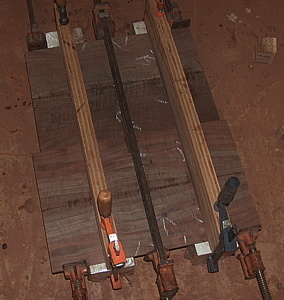 ... After beginning the layout I discovered some buried metal in the plank and found after digging it out that an entire 10 penny nail was imbedded and grown over. 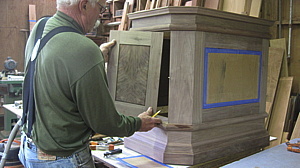 The blank was given a coat of white gesso and the drawing transferred to the wood. 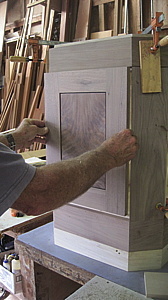 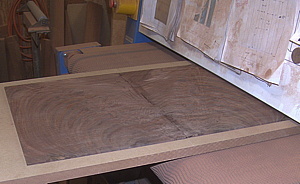 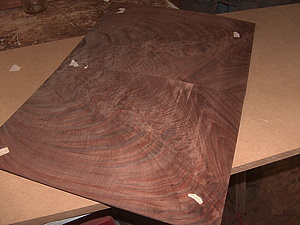 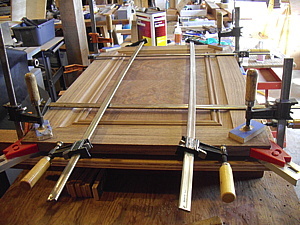 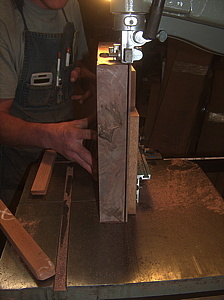 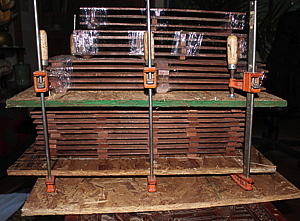 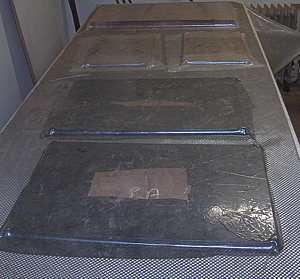 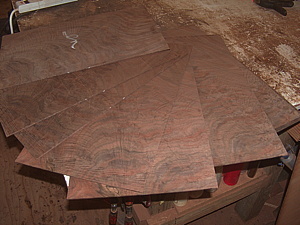 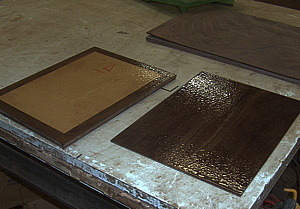 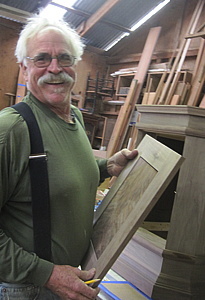 The waste was removed first by band saw then scroll saw. 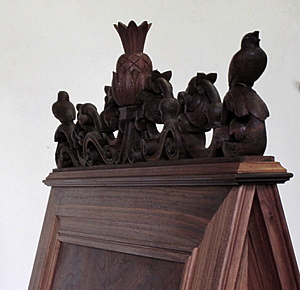 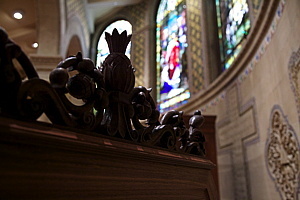 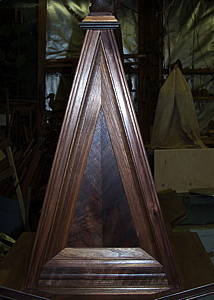 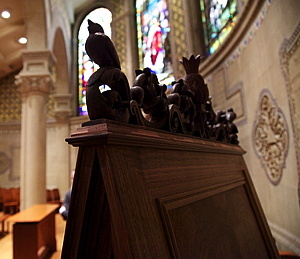 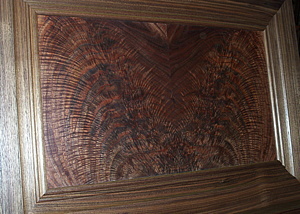 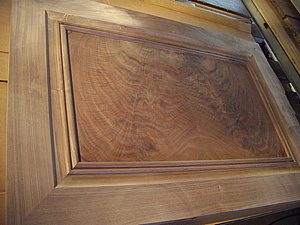 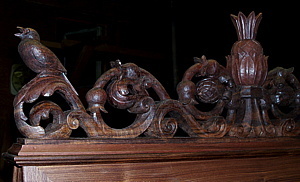 The carving was done using European style woodcarving chisels and gouges. 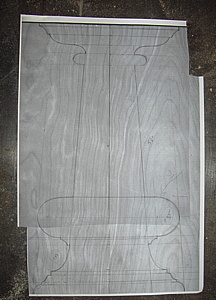 As I completed the carving I was unhappy with the design of the motif that forms the center of the carving. 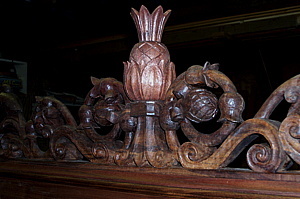 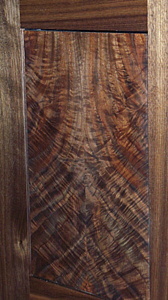 I cut it off and replaced it with a thicker block of walnut, turned and carved in a traditional pineapple form. 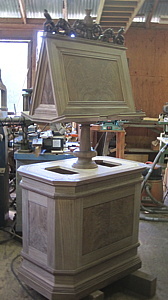 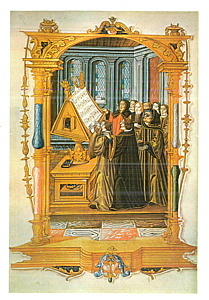 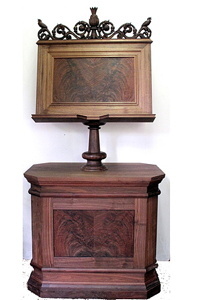 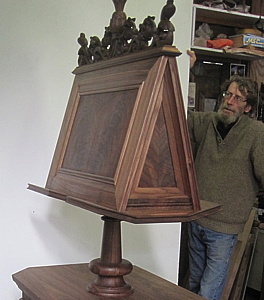 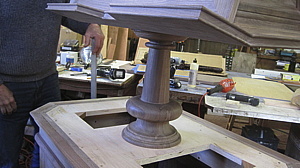 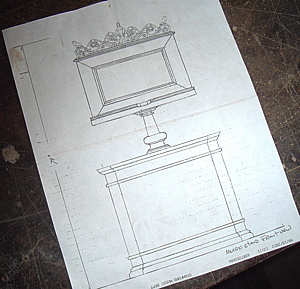 Below is some of the provenance of the making of this beautiful Lecturn.